Drop the wheat flour and the butter into a food processor, turn for 20 seconds, then add powdered sugar, the egg yolk and vanilla. 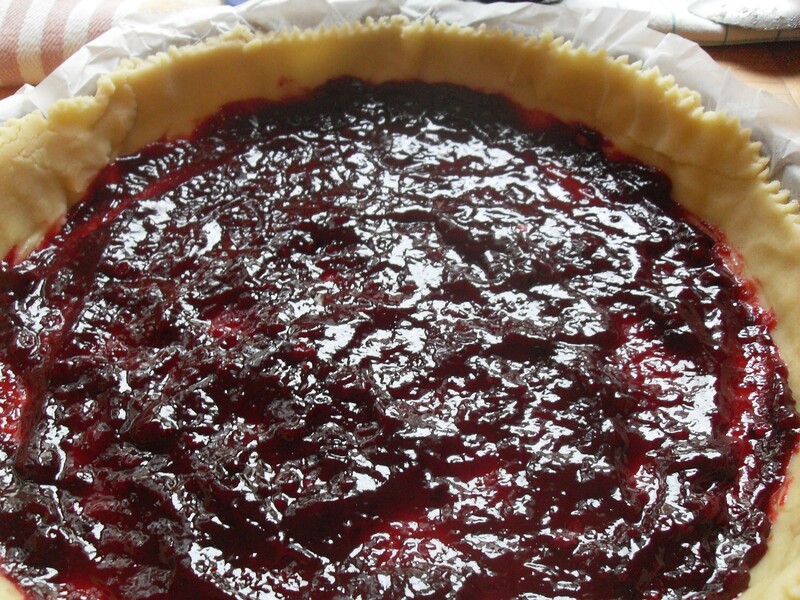 Place down (use a rolling-pin) into a (9-inch) pie pan and press down along the bottom and all sides. 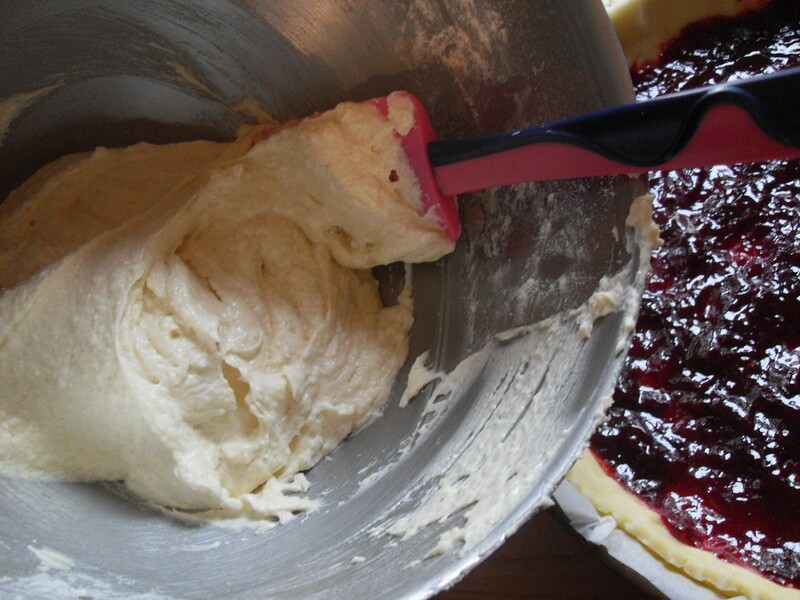 Pierce the dough by using a fork, then set aside in the fridge. Beat the butter with sugar and orange zest until whipped and carefully drop one egg, then the other one (do not stop beating while dropping the eggs). Go ahead, beat until smooth, then add the almond flour and the wheat flour. Whisk until whipped. 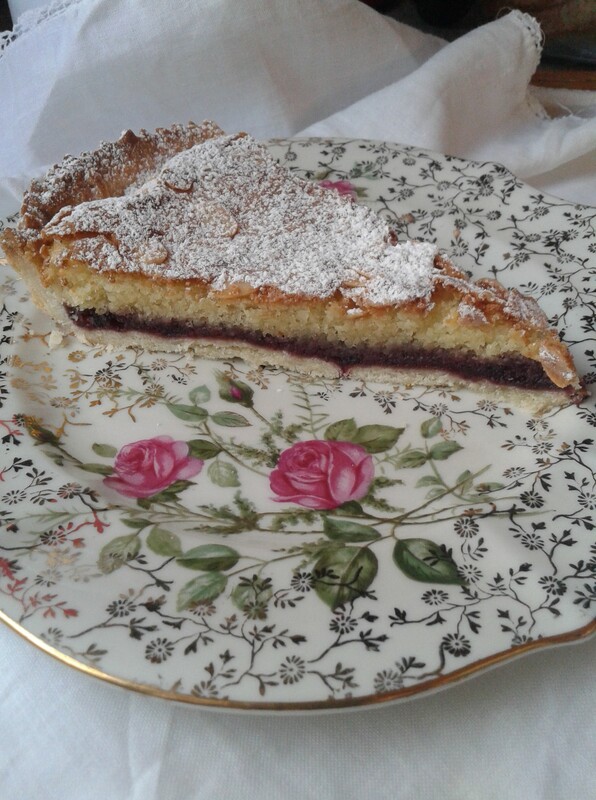 Take the pie-dough from the fridge and spread the red fruit jam over the dough, then drop the almond filling. 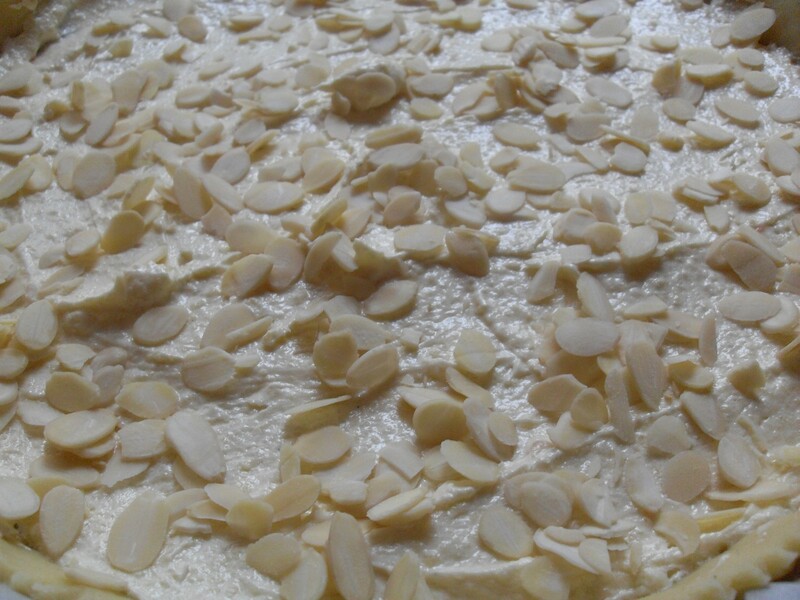 Sprinkle the sliced almonds and bake until golden; it takes 35/40 minutes. Background music: “I wanna get lost with you”, by Stereophonics. 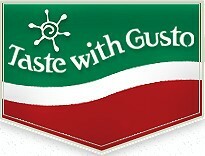 Recipe approved by “Taste with Gusto”, the real taste of Italian Food.